Today, we are announcing a whole lot of features we have added to Cloud 66. The coolest one is Simple Scaling. With Simple Scaling you can scale your web servers or backend processes with a simple click. This works for both front-end servers (Web Servers) and processes you are running on them. After a simple deployment of your app Deploying a Ruby on Rails app with Cloud 66 you will now see that there is a tiny + icon on the web servers page. Clicking this icon will clone your web server. It will do so by firing up a new server in your cloud, configuring it as web server and deploying the same code (same git revision) of your app on it. In a matter of minutes you now have a new server. To add load balancing to your web servers in the stack, simply click on the Add a Load Balancer under Protips. This will fire up a load balancer (only supported in AWS for now) and put your servers behind it. After this point, clicking on the + sign will automatically clone the web server and add it to the load balancer. Cloud 66 supports Procfiles. If a file called Procfile is found the root of your Rails app, it builds the list of processes you would like to run on the server. It then starts those processes and keeps them up and running at all times. Now, will Simple Scaling, you can use scale your backend processes with ease. Just click on the +/- signs next to each process and see them scale up and down! We now provide an super robust DNS feature to all of our user. This means all of your servers, load balancers and stacks now have a unique name and DNS record so you can easily rebuild or move your stacks around while keeping all your DNS record intact. By the way, all your servers now have funky animal themed names so you remember them better! There is a new Protip in town for your stacks. Clicking on Add SSL Certificate protip, you can add your SSL key and certificate (and intermediate certificate if you have any) to all of the servers in your stack. 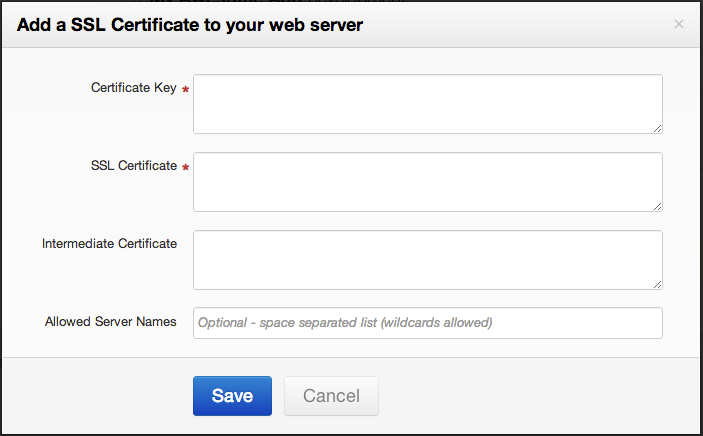 This will add the SSL certificate to your servers by redistributing it to all servers reconfiguring each one of them. There is a lot of new features are on the way. Let us know what you think, what you need and stay tuned!